. 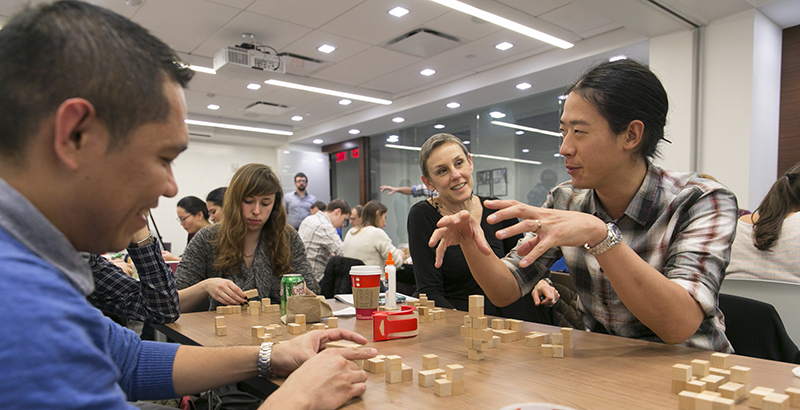 @MathforAmerica will invest $225M in NYC’s strongest math & science teachers bet’w 2013-2022. Math for America, a 13-year-old nonprofit that supports New York City’s strongest math and science teachers, this month awarded 300 new, four-year fellowships to its latest class, bringing the total number of teachers in the program to over 1,000 and the dollar amount committed to over $15 million. In all, MfA says it will invest nearly a quarter of a billion dollars in STEM educators in the country’s largest school district between 2013 and 2022. MfA fellows, who go through a competitive screening process before being chosen, receive $15,000 yearly stipends while engaging in intense professional development. They meet regularly over the course of the school year to “deepen their content knowledge, refine and expand their skills, and collaborate with other teachers to examine the best ways to teach every student in their respective classrooms,” MfA said. Many of the programs are designed and run by the teachers themselves. “The financial support from MfA — in the form of yearly stipends, professional grants, and resource funding — is incredible. But the community is truly the greatest benefit of an MfA fellowship,” Patrick Honner, an 11-year MfA master teacher who teaches at Brooklyn Technical High School, said in a release. MfA President John Ewing, a former college math professor and former executive director of the American Mathematical Society, said the organization believes that improving public education for all students must involve recognizing and nurturing the very best teachers. He said much of the emphasis in education reform has been focused on fixing the lowest-performing schools and addressing the most ineffective teachers. “What I do know is that you can’t succeed if you only concentrate on the broken parts,” Ewing said. In a 2010–14 Math for America study of over 15,000 teachers in New York City public schools, annual attrition for experienced STEM teachers was 9 percent. For MfA teachers, it was less than half that amount during the same four-year period. When great teachers are present in the classroom, student benefit is tremendous: Studies consistently show that teacher quality is a major indicator of student success, perhaps even more than curriculum, technology, or money. The state of New York launched its own master teacher program based on the MfA model in 2013 and has awarded fellowships to more than 620 outstanding STEM teachers in rural and suburban districts across the state. MfA has also tried to spread its mission to neighboring Connecticut, Pennsylvania, and New Jersey, but the substantial amount of money the program requires remains a challenge, Ewing said. Independent MfA programs have sprung up in Los Angeles, San Diego, Berkeley, Washington, D.C., Boston, and Utah, the organization said. Math for America is primarily funded by private donations from the Simons Foundation, which was established by Jim Simons, founder and chairman of Renaissance Technologies, and his wife, Marilyn.